I am amazed. 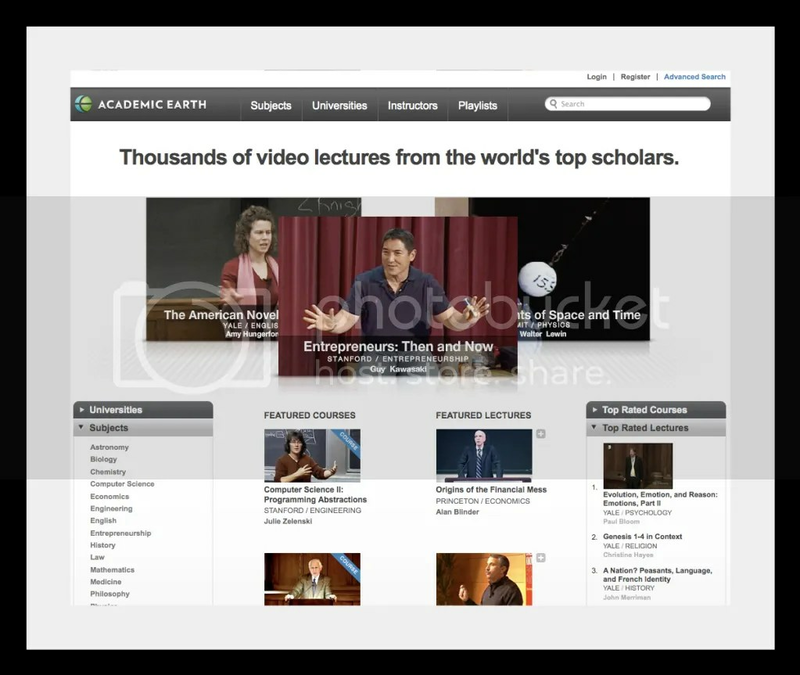 I just discovered another gold mine of inspiration and knowledge for the masses at the Academic Earth website. I really did not plan to publish this many articles here, but this one deserves a bookmark. I found a nice presentation from one of my heroes Guy Kawasaki on entrepreneurship and a marvelous session by Professor Paul Bloom with a nice red thread to another fantastic presentation on happiness by Dan Gilbert, made available at the TED talks archive I wrote about a couple of days ago. Time is a precious resource for most people today – so decide what you want to with your breaks. Here is your opportunity to find a topic you always wanted to look into and without obligations check out if this is something you may want to pursue. From your couch or wherever. And for free!